Mamma Mia! did for ABBA"
It's the late 1980s and the final countdown is on for a legendary Hollywood rock club facing its demise at the hands of eager developers. When a young rocker hungry for his big break and a small town girl chasing her dreams land on the scene at this infamous venue, how far will ambition drive them? And will it be lights out for the club and all the regulars and rockers who have made it their home? 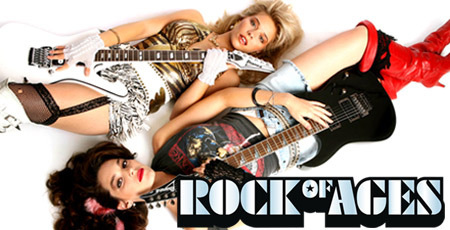 ROCK OF AGES takes you on a musical trip with a story set to blazing hits from such iconic rockers as REO Speedwagon, STYX, Journey, Bon Jovi, Pat Benatar, Twisted Sister and MORE! Offer subject to availability and prior sale and cannot be combined with any other discounts or promotions. Not valid on prior purchases. Offer may be revoked at any time. No refunds or exchanges. Blackout dates on 11/27. Telephone and internet orders are subject to standard service fees. All prices include a $1.50 facilities fee. Regular ticket price: $80.50. Casting subject to change.